Asus has just revealed a teaser trailer for the next-generation ZenFone 2 via its Facebook page. 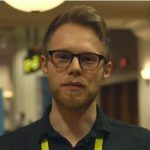 We’ve already heard that a new phone will be coming at the Consumer Electronics Show in Las Vegas this January, so chances are that’s what we’ve just had a peek at in the video. The trailer is very short – 10 seconds in fact – and an ill-timed blink will see you missing any sign of the phone. As per the usual Asus teaser style, this video consists of the device set against a black background and shrouded in darkness. Fortunately there are a few titbits of info that can be gleaned from the video, most notably the inclusion of a dual-camera on the rear of the device. This is paired with the tagline ‘see what others can’t see’, which implies the phone will ship with some fancy optics. It also looks as though the volume controls have been transplanted from the side of the device onto the rear. So what else do we know about the Asus ZenFone 2? Well, not very much so far unfortunately. Asus has keep decidedly hush on the matter, although it has tipped the inclusion of Intel chips in at least one mobile device coming next year.